There are many lasers on the market but we have never regretted our decision to use the Sciton Erbium laser (Contour TRL and Profractional XC) for rejuvenation. This laser targets the water in the deeper layers of your skin and can remove (ablate or vaporize) channels or full-field patterns to rejuvenate your skin. Think of it as both mowing and aerating your lawn. 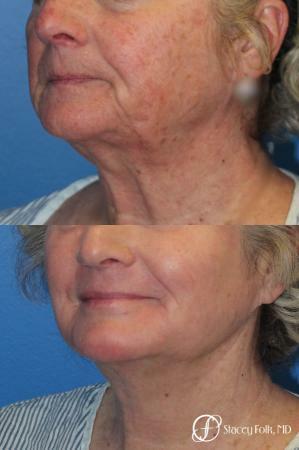 Because of the flexibility this laser allows (Profractional, Nano Peels, Microlaser Peels, and Resurfacing), we can treat a variety of skin types and also dial in treatments of different intensities based on each patient’s needs and available downtime. 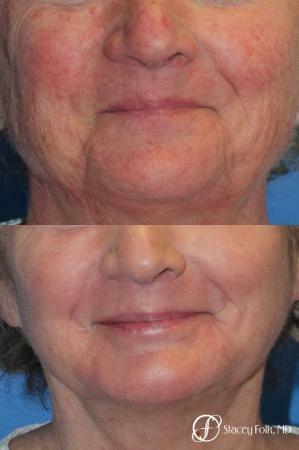 We have been thrilled with the results we have been able to achieve with this laser! 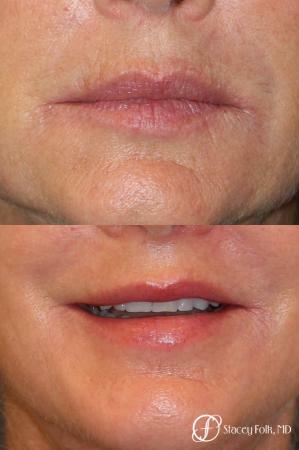 Ablative lasers do have downtime (typically from three to ten days based on the aggressiveness of the treatment) where moist healing with Aquaphor is needed before being able to apply makeup. Redness may linger for a couple of months. 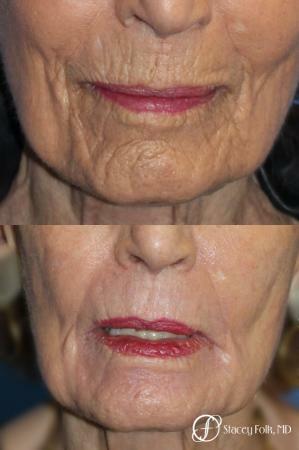 If your goal is treating wrinkles, this is your laser! 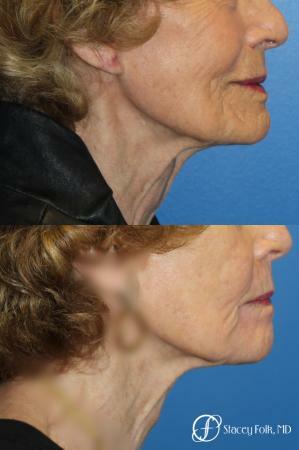 We learned our lesson from the lasers used in previous decades, and now recommend more treatments using less heat for significantly fewer complications and beautiful results. 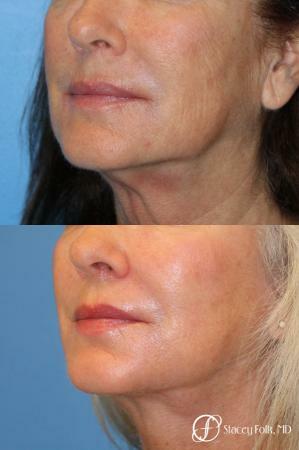 See our gallery for more laser rejuvenation before and after images.